The year was 1648. The United Provinces of the Netherlands had just been granted independence from Spain, marking the end of eighty years of war. 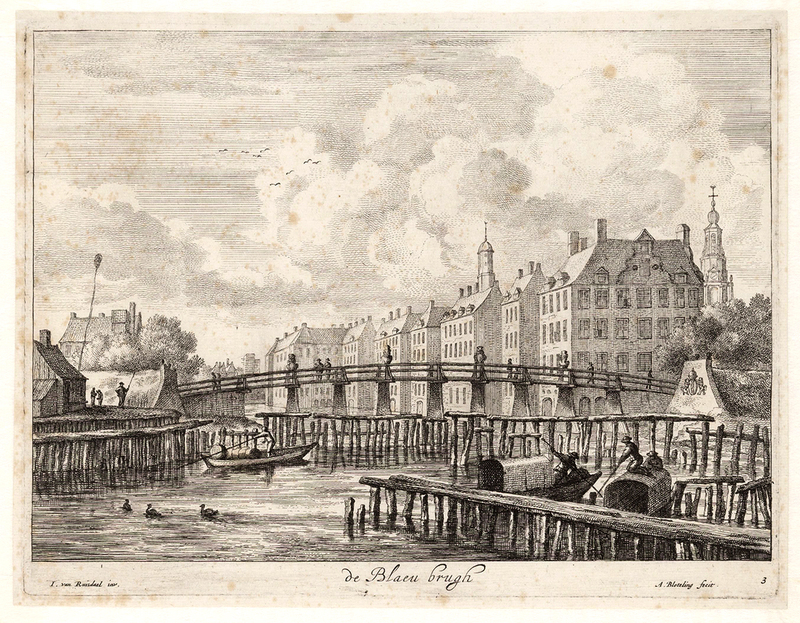 Amsterdam, a hub of finance and trade, was positioned to take its place on the world stage as a great modern city. 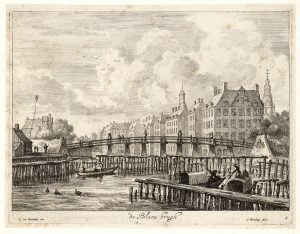 However, its town hall, on the square facing the thirteenth-century dam on the Amstel River, was a dilapidated warren of cramped late-medieval buildings. 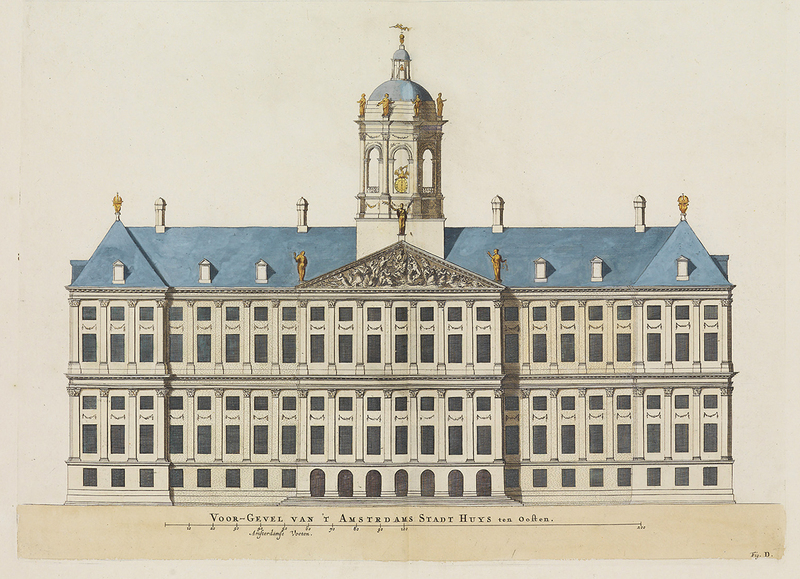 The burgomasters of Amsterdam had already planned to erect a new town hall that would be the “eighth wonder of the world” and appropriately represent the city’s prosperity and status as a center for trade, but this project took on new significance with the declaration of peace and independence. The winning design was submitted by the architect Jacob van Campen, and took over a decade to complete. 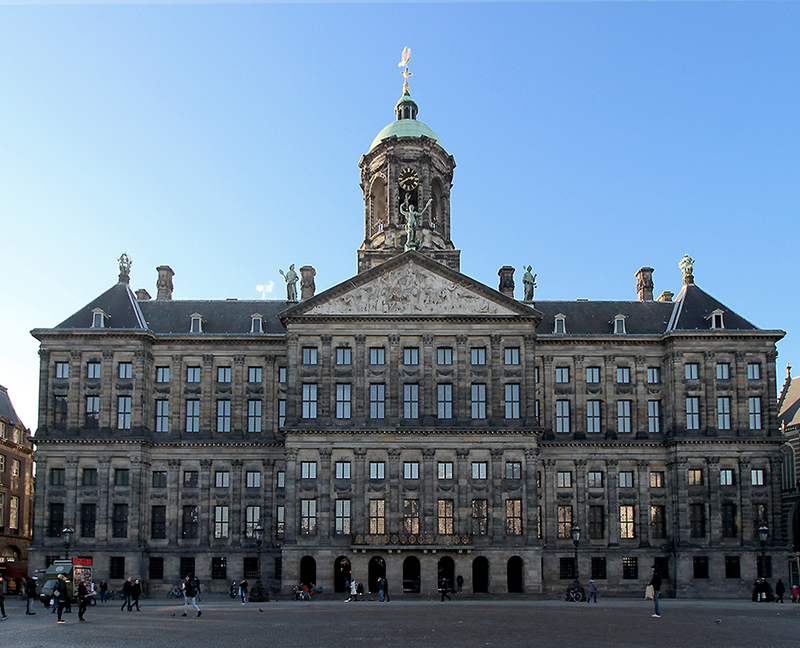 The new town hall housed all of the administrative functions of the city of Amsterdam—serving as criminal court, magistrate, police office, city bank, armory, prison, tax office, mayor’s office, marketplace, and the center of political activity. It remained in use at the heart of the city until it was converted to a royal palace in 1806, when Napoleon Bonaparte installed his brother on the Dutch throne. 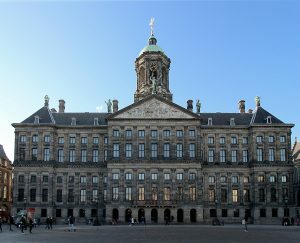 Today the building still functions as a palace, but also serves as a museum and a monument to two important eras in Dutch history. 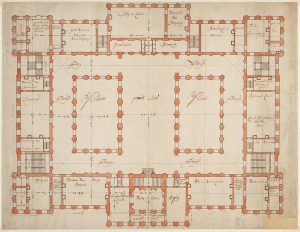 Because the Dutch Republic in the seventeenth century had no monarchy and a much smaller aristocracy than other countries in Europe, there were fewer people commissioning monumental architecture. The marshiness of land upon which Amsterdam was built required driving piles deep into the ground to support construction and limited the scale of projects. Land for building plots tended to be thin and long, with narrow façades oriented toward the street. The local scarcity of stone also meant that brick architecture dominated. However, for large sites such as the town hall, architects like van Campen chose to build in stone and in a new style: Dutch Classicism. 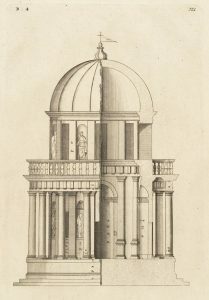 Architectural texts circulated widely in early modern Europe, and the writings of Italian Renaissance and Mannerist architects like Palladio, Serlio, and Scamozzi, in particular, resonated with Dutch architects. Dutch Classicism used the rules of symmetry and ideal ratios drawn from these Italian authors as well as classical sources like Vitruvius. The new style also incorporated surface application of pilasters, classicizing festoons, and allegorical sculpture. Compared to the typical local, small-scale brick architecture of Amsterdam, Dutch Classicism would have appeared striking and impressive. For the town hall, van Campen designed a massive, symmetrical, orderly universe in miniature. Corinthian pilasters rhythmically divide the surface, while flanking pavilions subtly add bulk to anchor the corners of the composition and balance the larger central one. A cupola housing a bell salvaged from the old town hall dominates the roofline. 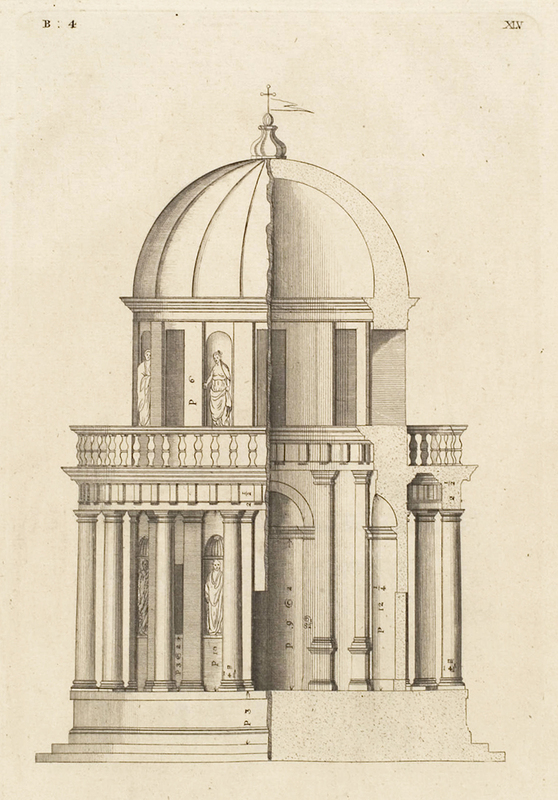 The cupola, an otherwise jarring addition to the sober classicism of the rest of the exterior, may have been based on Bramante’s Tempietto, as illustrated by Palladio. The interior is structured around the 120-foot-long barrel-vaulted Burgerzaal (Citizens’ Hall) that bisects the building on an east-west axis. This room is the same size as the central space of a basilica designed by Vitruvius, the only one for which he recorded dimensions. 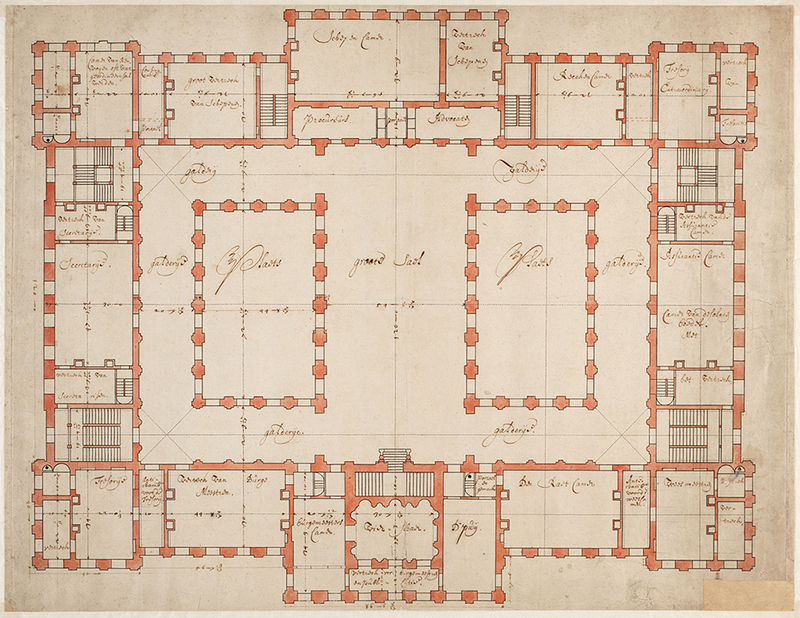 Two interior courts break up the mass, creating light wells that flank the Burgerzaal and provide light and airflow for both the central hall and the galleries. Offices were arranged around the exterior perimeter of the building. Dutch Classicism was not purely derivative. 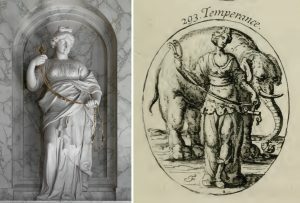 While van Campen carefully copied architectural components from prints after the Italians, his collaborator Artus Quellinus designed a universe of decorative sculptural festoons for the exterior. Rather than repeating one stock design across the entire façade, the festoons are varied and include the forms of fruit, flowers, sea creatures, ships’ instruments, and other symbolic representations. The building instantly asserts through its exterior decoration that it is a temple to the newfound peace and prosperity of Amsterdam in the wake of independence. Both the east and west façades have a central projecting block with a pediment topped by sculpture. An 8,000-pound sculpture of Peace, accompanied by allegorical figures representing Prudence and Justice, surmounts the eastern pediment. The pediment itself contains a sculpture group representing the Maid of Amsterdam and the bounties of the sea. Meanwhile, the west façade supports Atlas, accompanied by Fortitude and Temperance. The western pediment contains allegories of the four continents and the benefits of global trade. The two façades balance each other: male and female, land and sea. 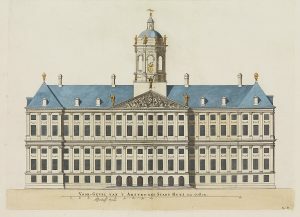 Amsterdam Town Hall, left: drawing of the east elevation (detail), by A. de Putter and Gerard Valck, 1719: a sculpture of Peace, accompanied by allegorical figures representing Prudence and Justice surmount the eastern pediment which contains a sculpture group representing the Maid of Amsterdam and the bounties of the sea (Amsterdam Stadsarchief); right: drawing of the west elevation (detail), by Pieter Schenk, c. 1710: allegories of the four continents and the benefits of global trade (Amsterdam Stadsarchief). The two façades balance each other: male and female, land and sea. Once inside, a visitor walks up a grand staircase into the Burgerzaal, which contains the universe in miniature: maps of the world are embedded in the floor flanking a representation of the skies of the northern hemisphere. The southern hemisphere was initially intended to adorn the massive 90-foot barrel vault above. A viewer standing in the center of the room stood at the symbolic center of the world—watched over by sculptures of Atlas and the Maid of Amsterdam. The entire interior is a unified decorative cycle carried out in expensive imported stone. Allegories representing the four elements, planets, virtues, and the bounties of land and sea act as wall decoration. This imagery stems from Cesare Ripa’s Iconologia, an influential Italian iconographic manual originally published in 1593. It circulated widely throughout Europe and even appeared in a Dutch translation in 1644, and the dual representations of each element in the Burgerzaalclosely correspond to Ripa’s descriptions. The times of day, sunrise and sunset, and the zodiac signs are also present. Representations of the planets lined the corridors, and were located closest to the offices with which they were symbolically associated. Various media all worked together to emphasize personal and civic virtue throughout the offices. 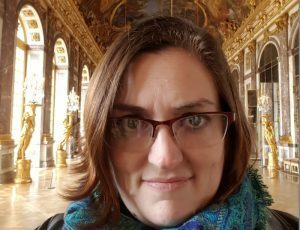 The mantelpieces in the larger offices emphasized the character traits city officials were intended to exhibit: humility, frugality, and responsibility. 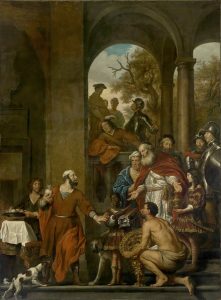 For example, Govert Flinck painted The incorruptible Consul Marcus Curius Dentatus, who, according to classical sources, preferred his humble turnips to the large, glittering bribe being presented to him. Each room’s mantelpiece consisted of a sculpted marble frieze and a poem relating directly to the subject of the painting. In the galleries, the scope was even greater. Initially, Flinck was commissioned to produce a cycle of twelve monumental paintings illustrating the story of the Batavian uprising. 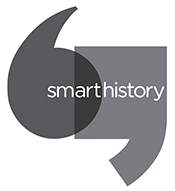 In the Histories, Tacitus recounts the tale of the Batavians, a Germanic people who rebelled against Rome, gaining their independence. 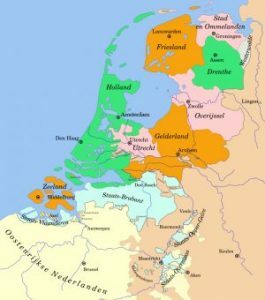 Since the late sixteenth century, the Batavians had been adopted not only as the mythical but as the as actual ancestors of the Dutch, who similarly refused to succumb to an empire. Flinck had worked as an assistant in Rembrandt’s workshop, but by the time of the Town Hall commission was a well-established independent master. The cycle was intended to illustrate the whole story of the rebellion as an allegory of the war against Spain. Unfortunately, he died before completing any of the cycle. The project was reduced in scale and split between a series of painters, including Jacob Jordaens, Jan Lievens, and Rembrandt van Rijn. 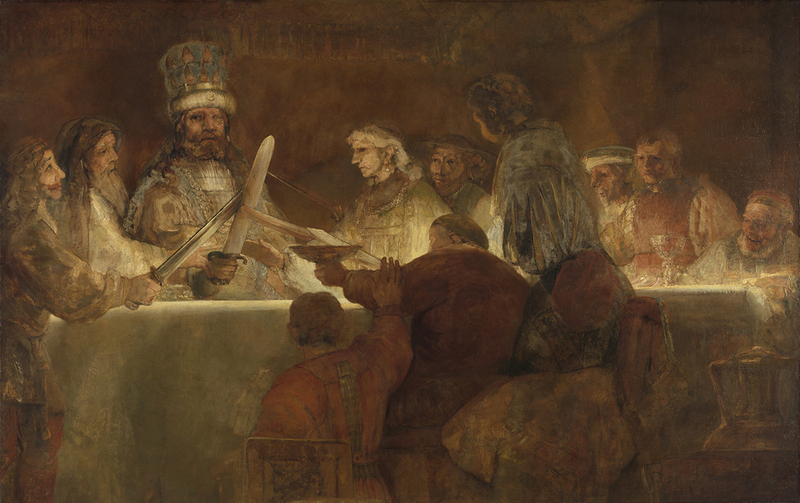 Rembrandt’s contribution, The Oath of Claudius Civilis, was removed from the town hall for unknown reasons less than a year after its installation; a fragment survives in Stockholm, presenting one of the great puzzles of the Dutch Golden Age. The interior and exterior decorative schemes function on several levels: they celebrate the peace and bounty of Amsterdam, provide visual models of virtuous classical and biblical leaders, and chronicle the mythic history of the Dutch. All of this is contained within a mathematically ideal and symbolically rich microcosm. It is designed to impress new visitors with the splendor and wealth of the Dutch Republic as well as to provide ongoing moral instruction to those who do business there every day.